“Well, I’m gonna go get a cupcake.” Kristoff said, raising to his feet. 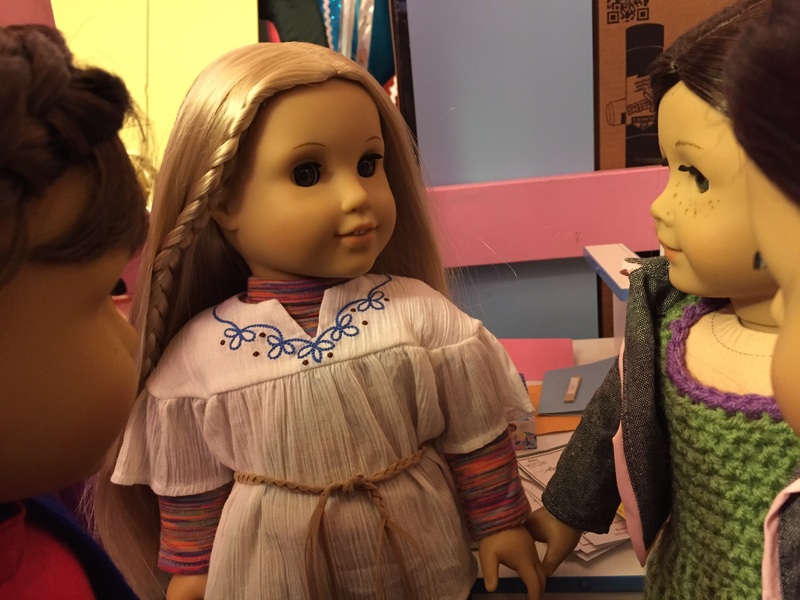 “So, do you think Rebecca’s petition worked?” Annika asked her sister. 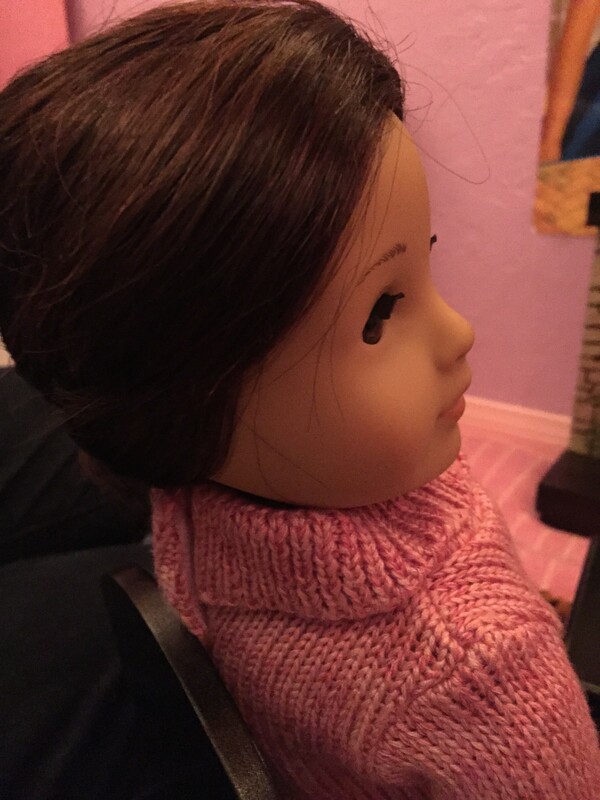 “Mommy definitely seemed to be considering the idea when we gave it to her. I really hope she listens to it, though! It would be so good for Eli, and Kristoff, too!” Jess said hopefully and Annika nodded her head. 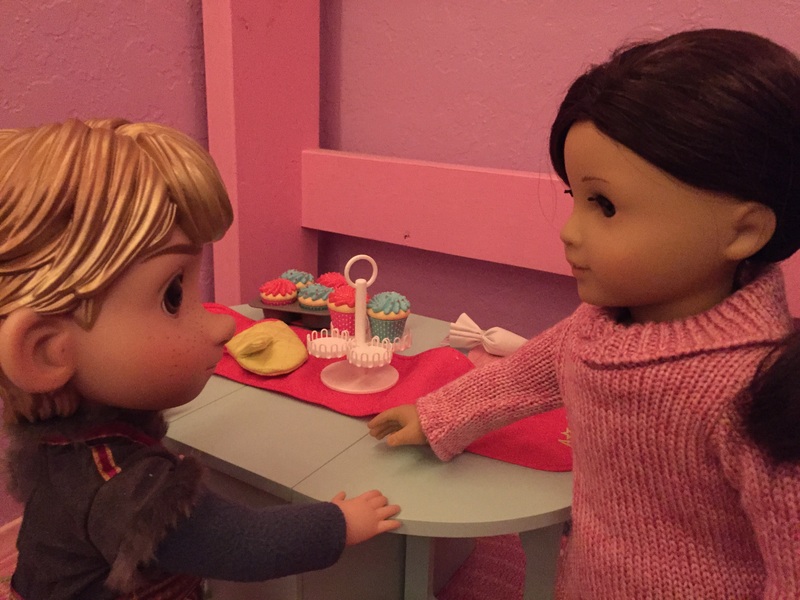 “Kristoff I already told you, ask mommy if you can have a third cupcake and then I’ll give you one.” Jess told her little brother. 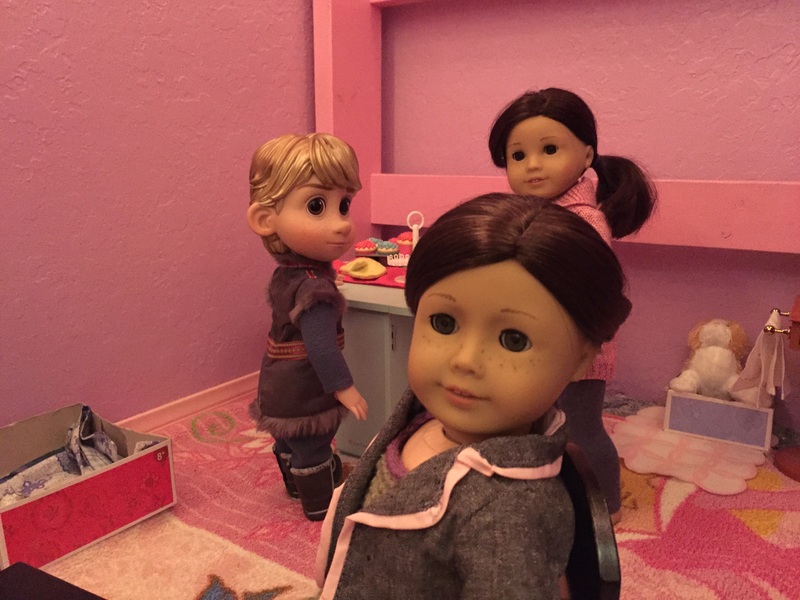 “But, she’s probably busy!” Kristoff protested. 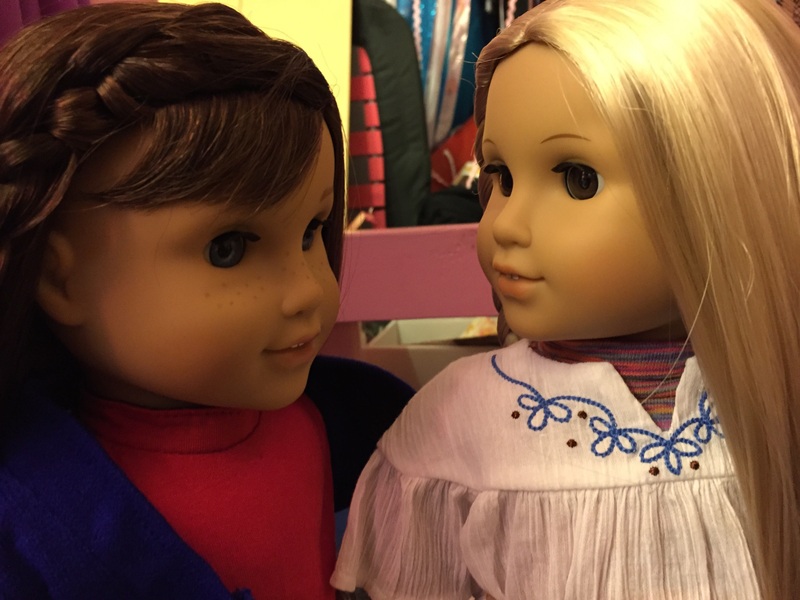 “Kristoff, just go ask her!” Jess ordered. “OH MY GOSH! !” “YES IT WORKED! !” “I’M SO EXCITED!! !” Everyone turned their heads to all the screams from the living room. 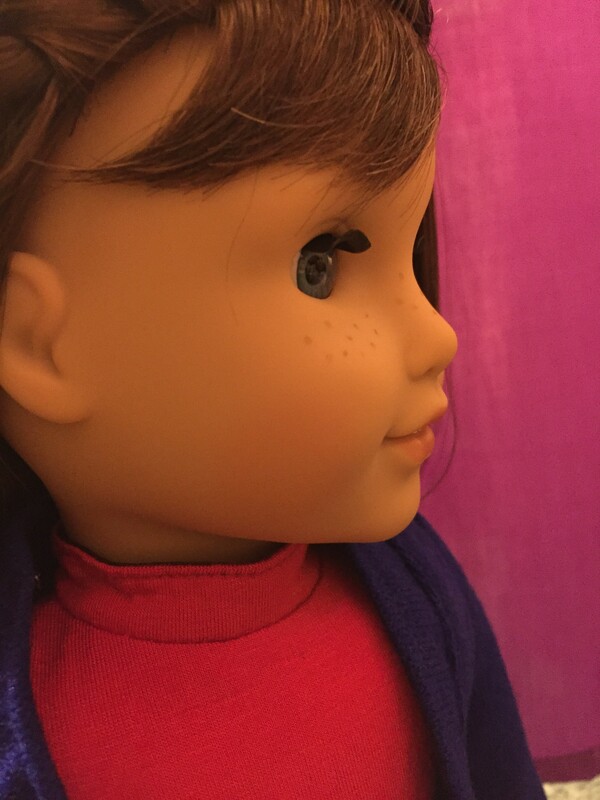 “What’s goin’ on?” Eli asked Annika who shrugged her shoulders. She was just as clueless as he was. After a few minutes, Riven-Delle came in the room with a huge smile on her face. “Annika, Jess! It worked! The petition we all signed, you know? Mommy listened to it!” Riven-Delle said so quickly that it was hard for Annika and Jess to understand what was going on. “Oh, my gosh!! A new brother AND sister?! We expected a brother, but oh my, what a surprise to get another sister, too! !” Annika squealed. “My name is Annika, and this is Elijah, but we call him Eli, and there’s Kristoff and Jess.” Annika continued, pointing to each one. “It’s nice to meet you! I’m Julie and I’m 12. I heard about the petition you all signed for mommy to get Eli another brother. That was really nice of you guys!” Julie said with a smile. Eli smiled broadly in shock when he heard this. Only a few weeks ago, Eli had been wanting a brother more his own age. He had told Riven-Delle about it, so he guessed that she must have told everyone else. He was so blown away and extremely appreciative to all his sisters. “Hey, Eli! 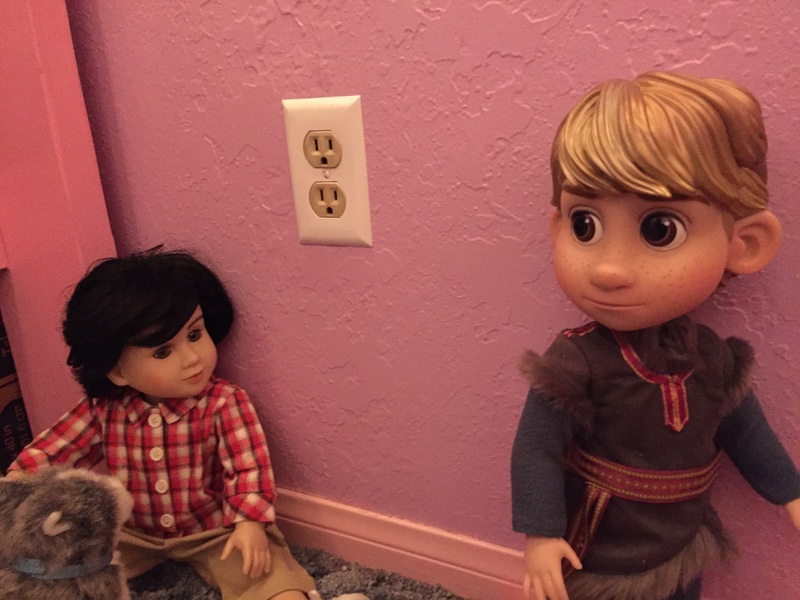 Hi Kristoff! You already know this, but my name is Dallas. I’m 10.” Dallas introduced himself to his new brothers. “I’m 10, too! 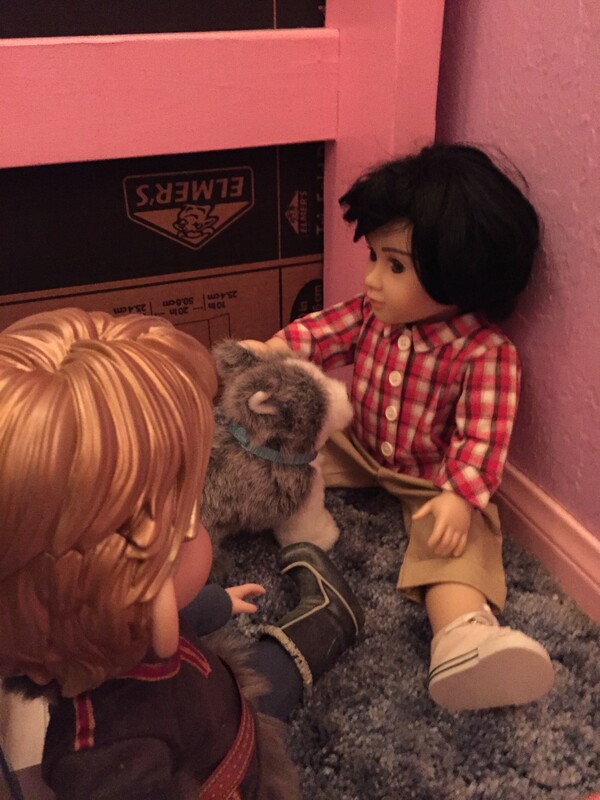 Kristoff is 7.” Eli said as he motioned to Kristoff. “Cool! Do you like video games?” Dallas asked anxiously. “I love video games! Hey, lemme show you my little bedroom corner, as I like to call it. 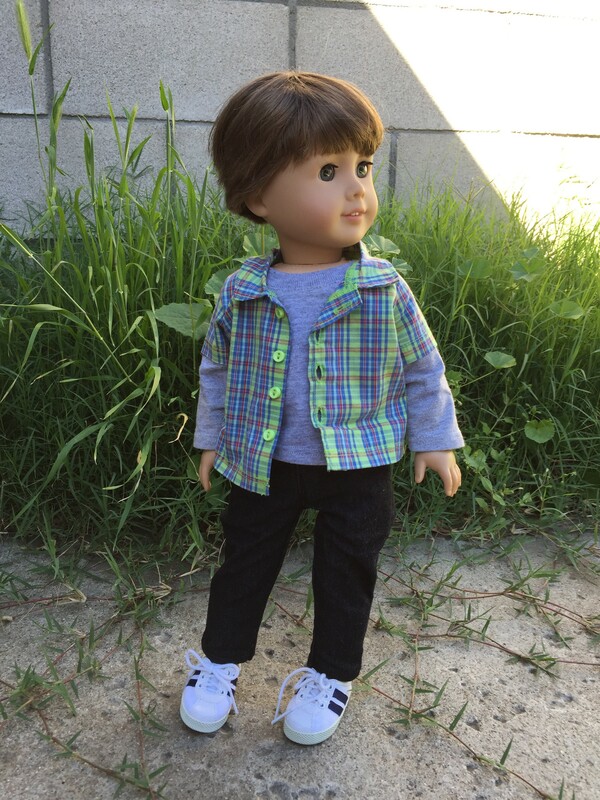 You’ll probably be sharing with me now!” Eli said excitedly. 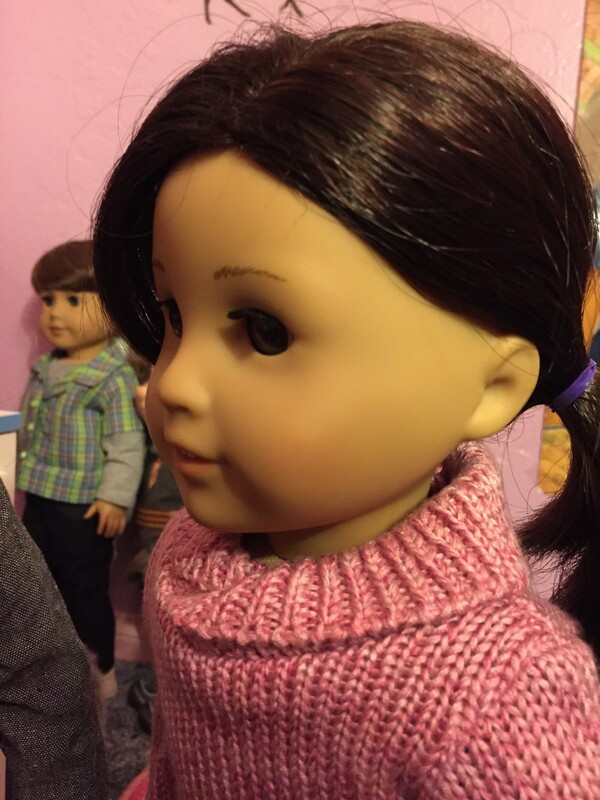 “So where do you come from, Julie?” Annika asked her new sister. 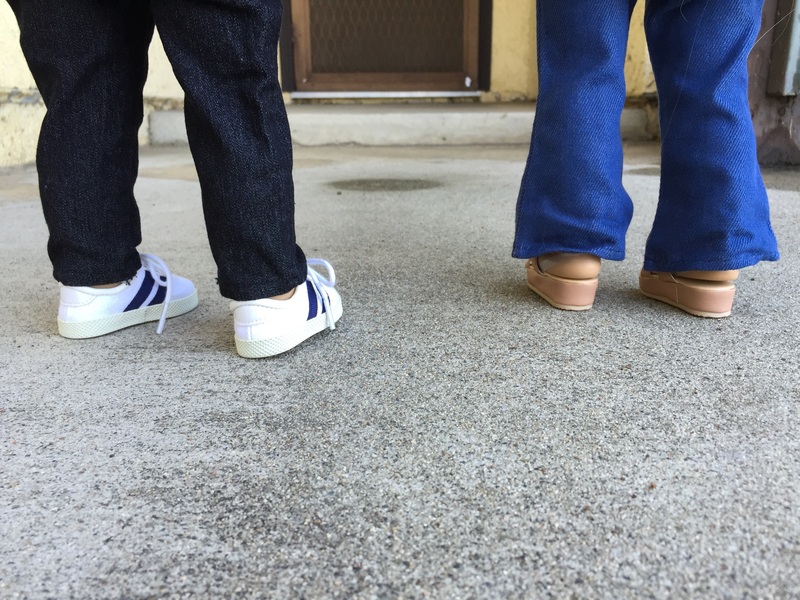 “I lived at an orphanage in San Francisco. Dallas was there too!” Julie replied. “Oh, how magnifique (mah-nyee-feek)! I’ve always wanted to visit San Francisco! Have you gone across the bridge?” Riven-Delle wondered. “Oh, yeah! I’ve gone across the bridge a few times!” Julie said with a smile. 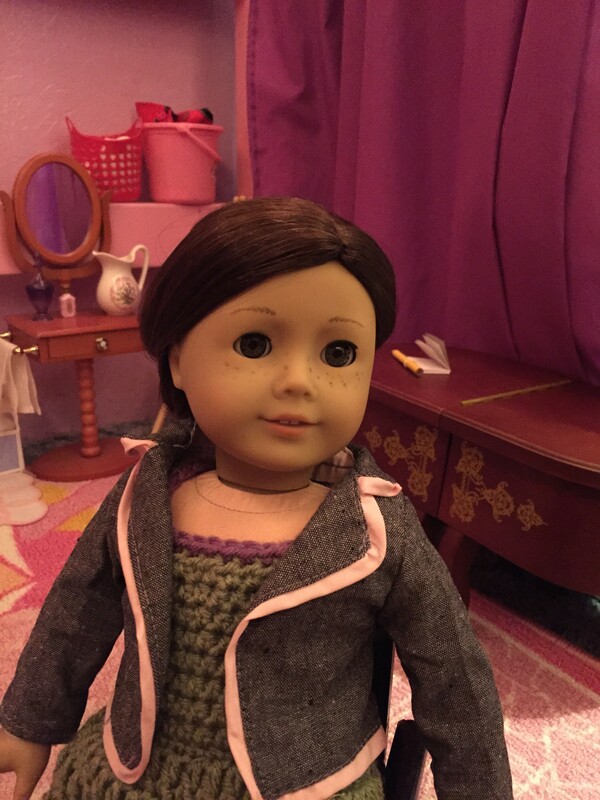 She was happy that someone was interested in what she had to tell about San Francisco. “So, how did mommy come to adopt you?” Jess asked. 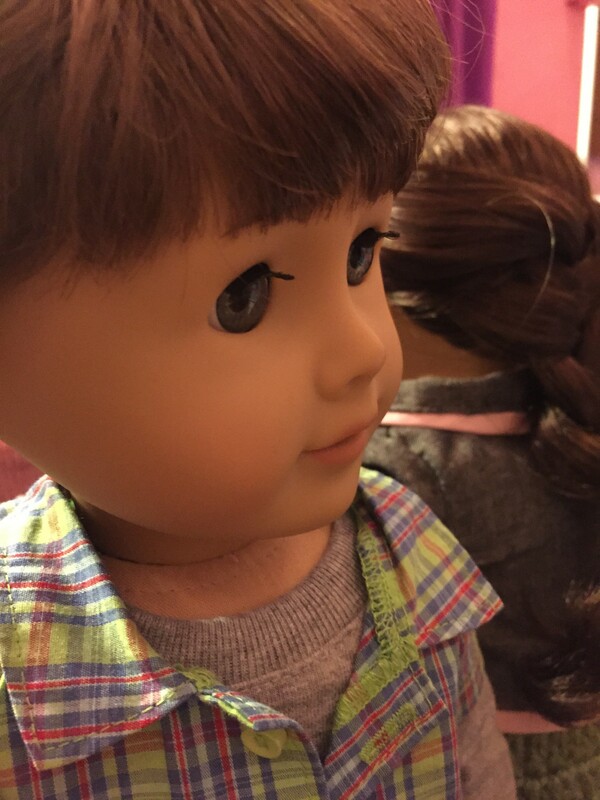 Do you have Julie or a custom boy doll? 49 Responses to What A Surprise! Yay for you!! 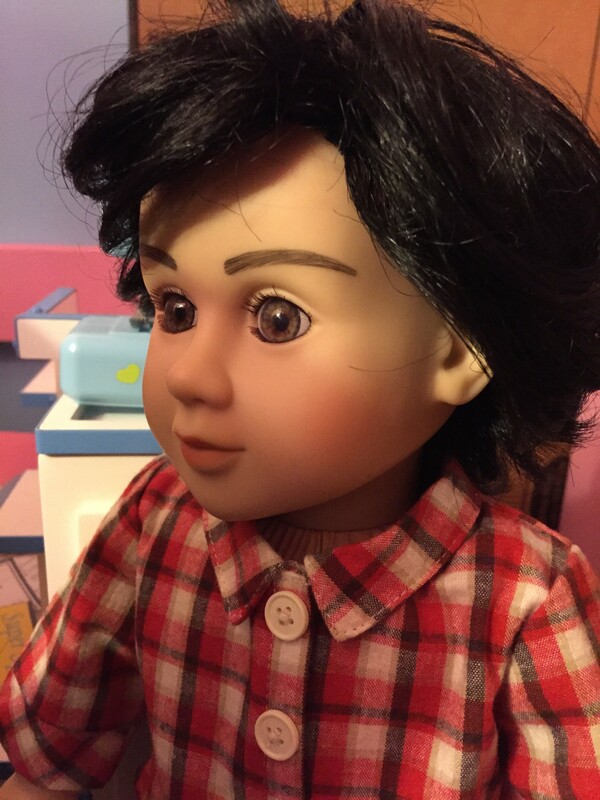 My grandma and mom have custom boy dolls. Their names are Matthew, Little Bear (Kaya boy), and Mikaio. They’re pretty cute. I have a Gotz boy named Toby. 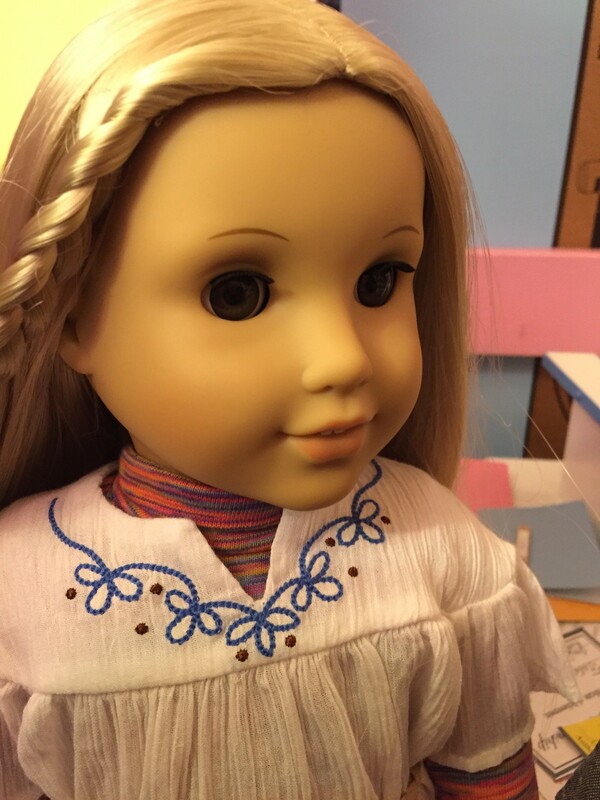 New dolls are so fun! I know. 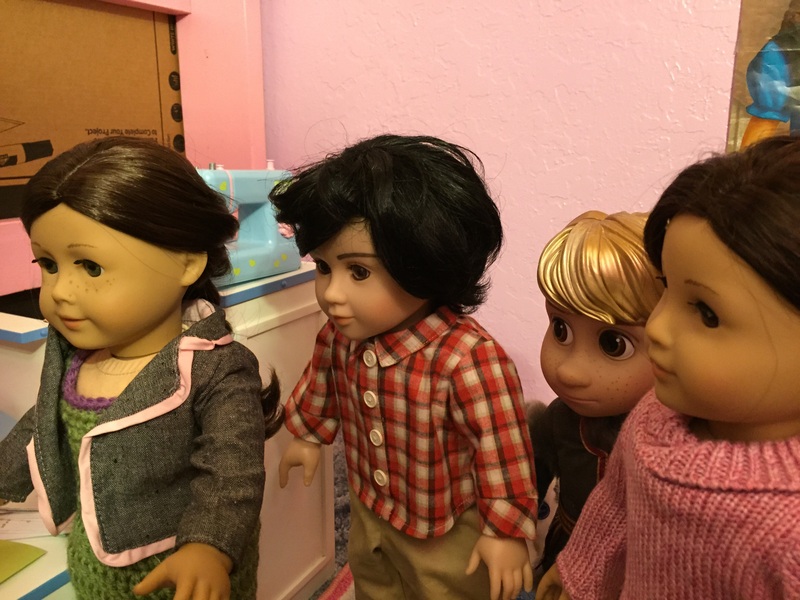 If you don’t have boy dolls half your characters are missing and besides, the world isn’t all girls. Where did you get Dallas’s wig? Can’t wait to see what’s coming tomorrow! 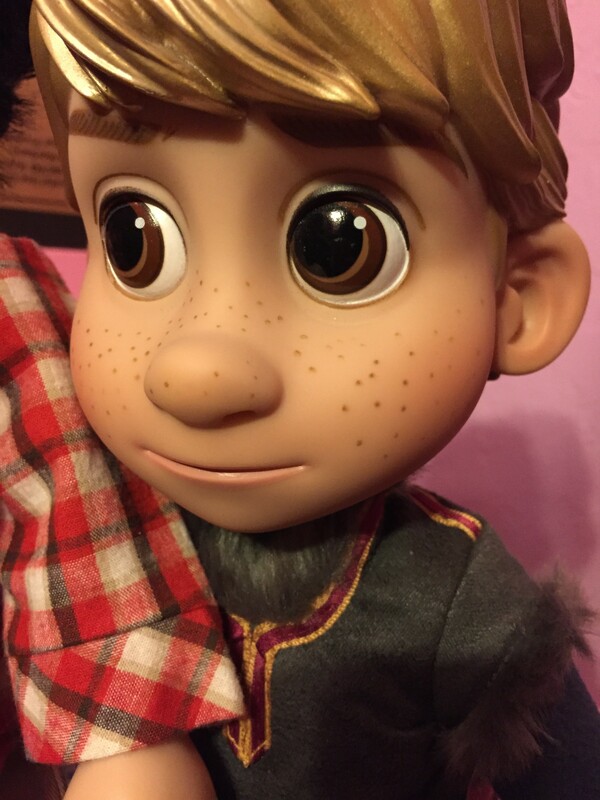 Your little Kristoff is so cute! I like how he’s the little brother to all of your AGs. 🙂 How old is Anna supposed to be? Wow, I’m so excited for you, Jaclynn! Now you actually have Julie!!! Will Josefina be all unhappy now, because Riven-Delle didn’t have much time to be the new girl? 😛 And Dallas is so handsome. I’m SO looking forward to the new pirate series! YAY! Congrats! My mom was going to get me that deal, actually, but it was too late. I’m so so so happy for you! Congrats! 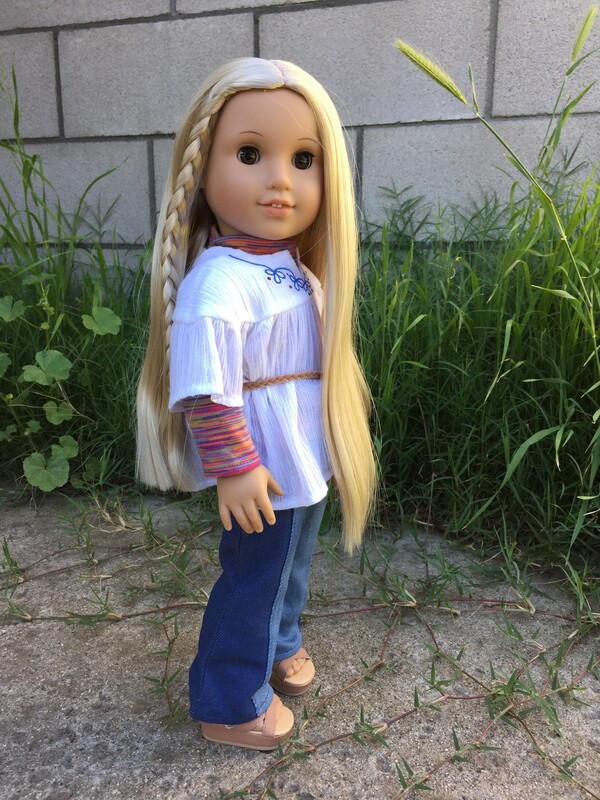 I’m glad to see that you were able to get one of the $55 Julie dolls, that sale made me so mad, so many people trying to get them and not having any luck. Now I’m seeing a lot of them showing up for sale on Ebay 🙁 I got Kit’s bed, it came yesterday and would you believe I haven’t opened it yet?! I wasn’t home all day and I was so tired when I did get home, so that’s my big thing today. Dallas is so cute, you got a super nice job on his hair. 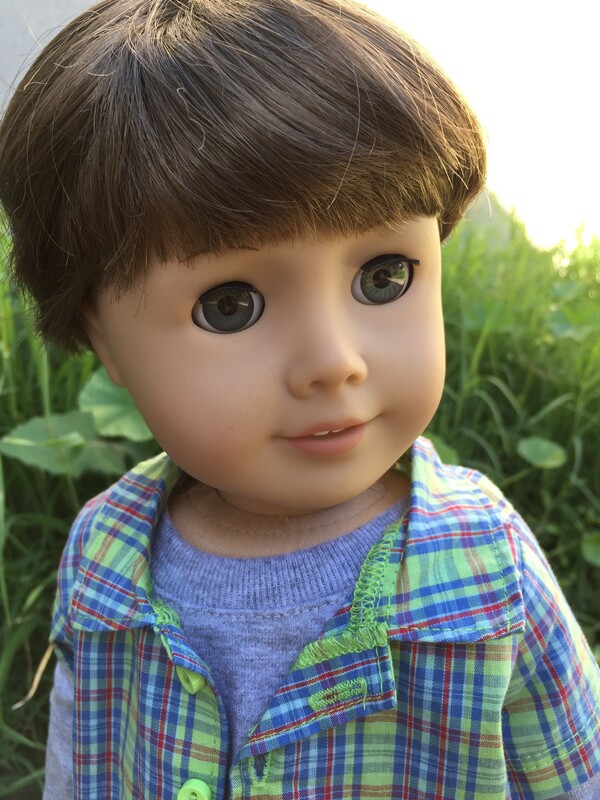 One of these days I want to do a boy doll too, just can’t decide what I want to do. I’m hoping to maybe find someone who needs rescued at a yard sale this summer. 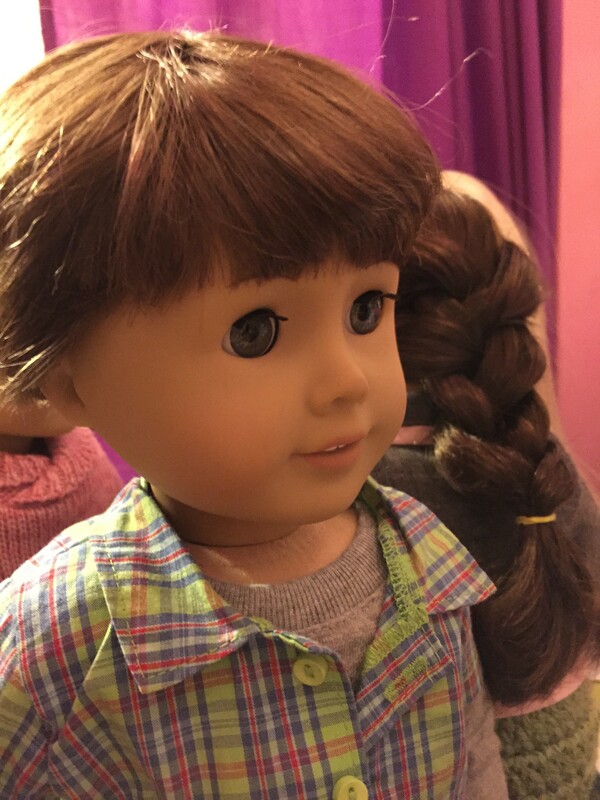 I love your new dolls! OOOOOOHHHHHHH YAYYYYYYY I GUESSED IT!!!!!!!!!!!!!!!!!!!!! Teehee. G2G! I’ll write more later! CONGRATULATIONS!!!!! Did you customize Dallas yourself? I really like that name! 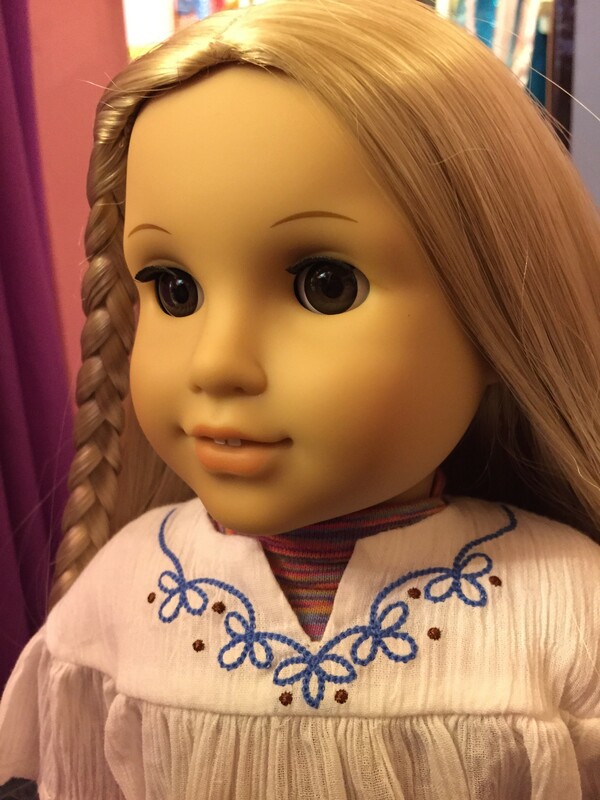 I don’t have a custom boy doll, but I do have Julie, and she is SOOOO pretty! 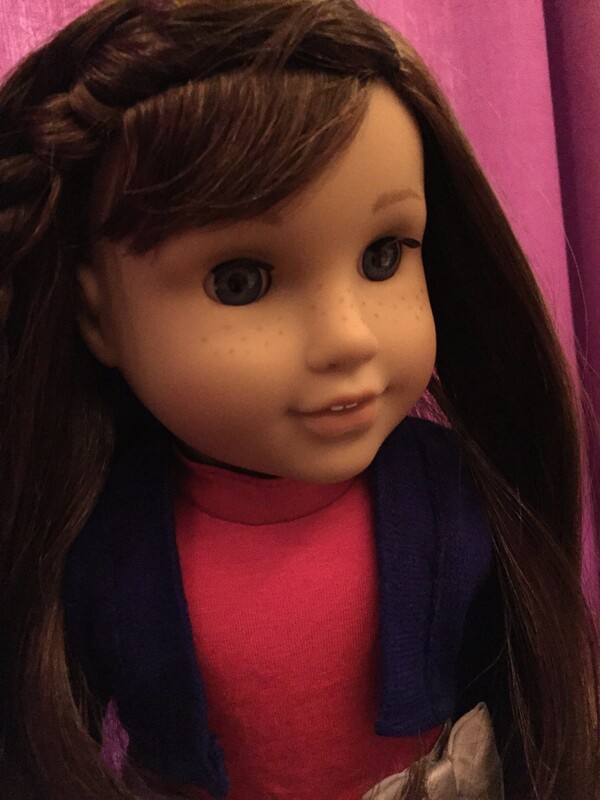 I have had her since 2008 and her hair is still in good condition! 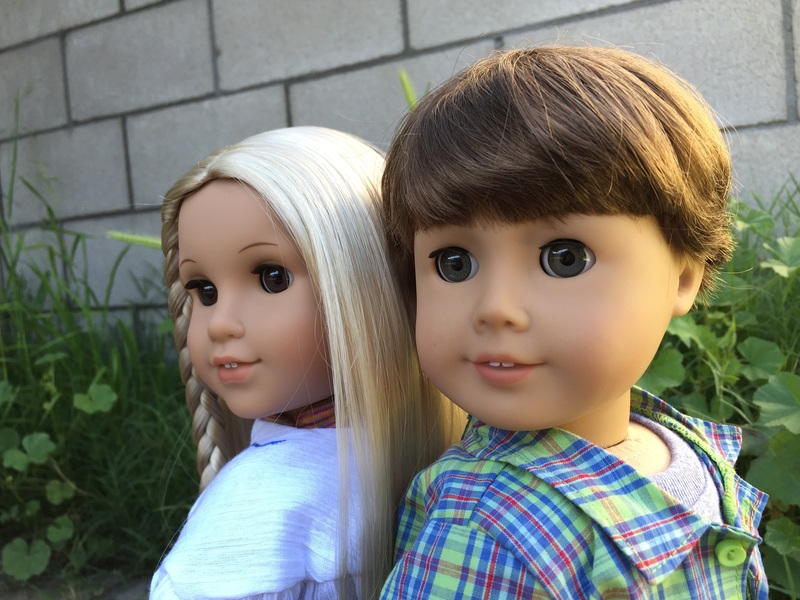 Congrats on two new dolls! 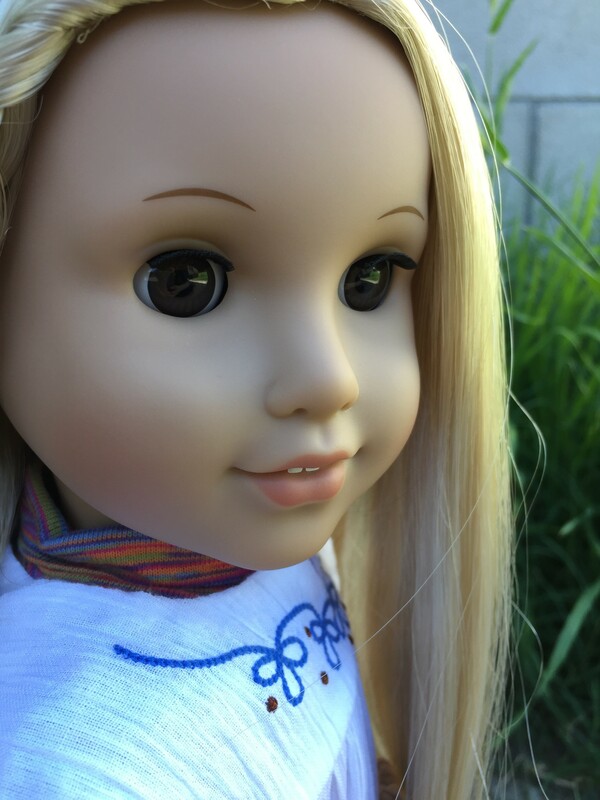 😀 Julie is such a great doll, so it’s really good that you could get her with her old meet outfit and at such a great price! 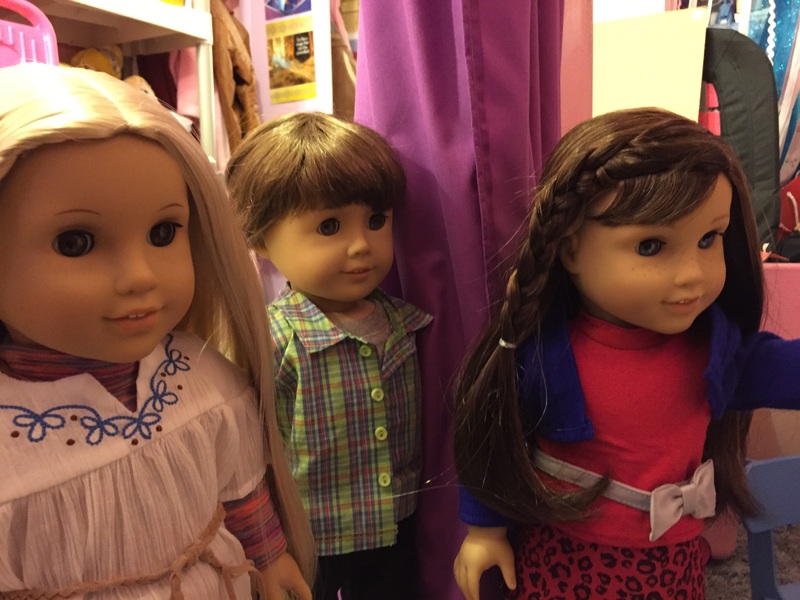 I saw the sale on all those dolls, and they went away so fast! They sure did! 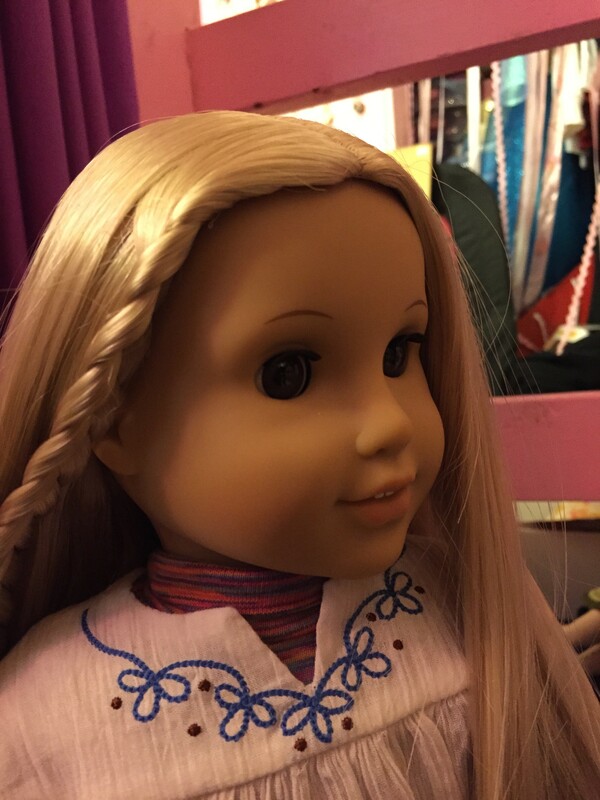 My mom said there was some sort of a glitch later too, where all the same doll sets were on sale $46! WOW! 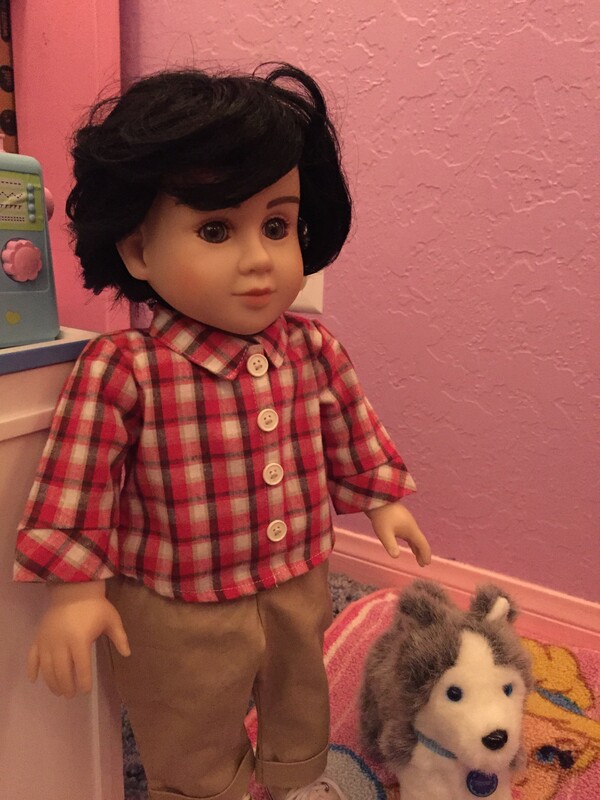 Congrats on getting Julie and your second boy doll. 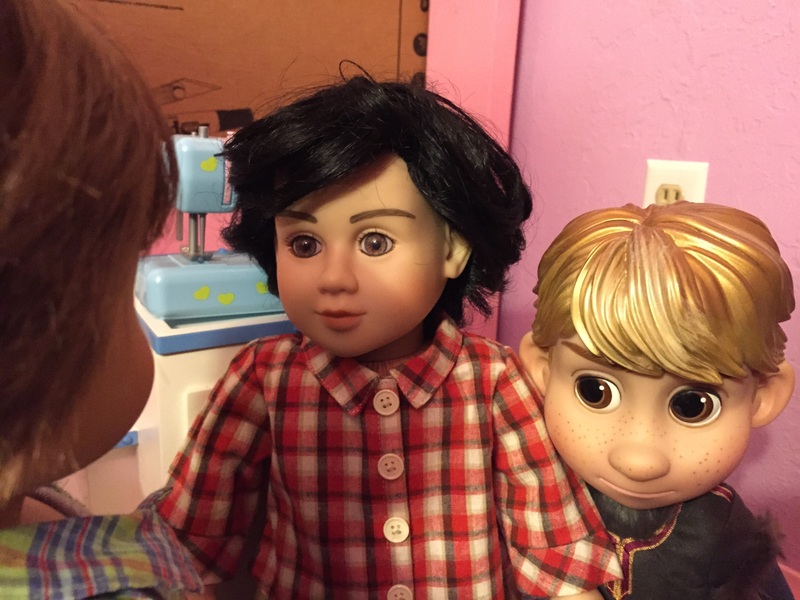 I have Julie (renamed Sunny), and 2 boys Danny (an Our Generation custom) and Jason (a hybrid of AG and OG). Actually, I didn’t do it. He was a gift. SHE WENT ON SALE?! WOW!!! Julie and Dallas are SO cute! Well, handsome for Dallas 😛 Congrats on your new dolls! I have enough for #56 now – I’m buying her on my birthday in personwhen we go to the AGP Orlando this summer! I guess a FEW good things comes from leaving all you’ve ever know for nearly six years behind and coming to a new place with 0 friends and feeling left out! Thank you, I only have 1 friend well she has two sweet sisters so that makes 3 friends and everyone else, well, they hang out with each other a lot and I feel really left out. Thank you for praying – this is the hardest time of my life, yet good things come out of it. I got Julie on that sale, too! I am saving up right right now so I can buy her from my mom!